Quality, safety, and results truly matter to the Resync team. Even though as a company we are young, the quality and safety of our products has already been established. There is also already strong evidence on the benefits of our individual ingredients. Now, we are excited to finalize our current ongoing clinical protocols and take the next step to human trials to have concrete scientific evidence on our finished products on top of the positive testimonials already given to us by our valued customers. With that being said, we are extremely excited and grateful to announce that a third-party study performed by IUPUI has confirmed the quality of our products. 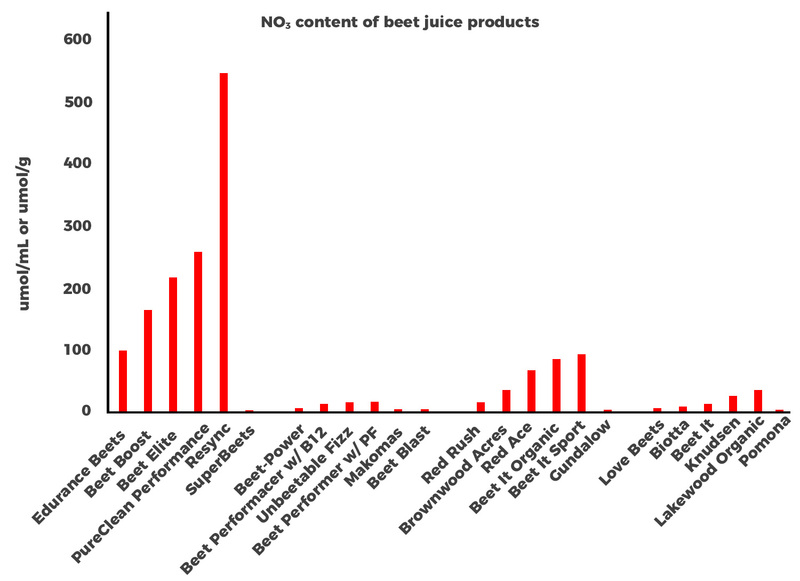 A pioneering, independent study done by Indiana University-Purdue University Indianapolis shows the inconsistency in nitrate content of different beet-related products. The University tested powders, mixed beverages, concentrates, and bulk juices. During those tests, there was an obvious difference in the nitrate content between the 24 tested products. According to Andrew Coggan, co-author of this study, “there’s been a great deal of interest in beets because they’re rich sources of nitrate. But the hidden fact that we are coming to appreciate is that actual nitrate content between products varies significantly”. According to Coggan, “the nitrate contents were generally low...falling far short of the amount (310-560mg) suggested by International Olympic Committee as being needed to improve performance”. It’s clearly visible on the table provided to us by Coggan that Resync stands out. Barbara Depta, Resync’s CEO, comments on this study saying “I’m grateful for having the opportunity to prove the fact that Resync stands out amongst so many already well-known brands which fell short when compared to Resync. I know that this data only confirms the quality of our brand”. For effective athletic performance and recovery, Resync suggests taking one (1) scoop or (1) sachet before or after performance, depending on the use. Two to three days prior to your important sport or athletic event, we suggest doubling the dose. Please note that even just one dose of Resync is considered by cardiovascular scientists as a good dose to support heart health. It is important to know what you are paying for when buying beet related products. The amount of nitrates per serving, the serving size of the products in and of itself, and what other additional ingredients are in it matters. On top of that, was the product actually tested by a reputable third-party testing company to certify that there was no contamination taking place during or post-production? Some other questions to ask yourself are: does the product contain any substances banned by the FDA and the Olympic Committee and can you guarantee that what you see on the label is actually inside the product? These are very important elements to take into consideration when buying supplements or any functional food products. Aside from having standardized sources of natural nitrates, Resync also has additional valuable ingredients like standardized antioxidants - on top of that, it has zero sugar! Please note as one of very few selected beet-related products, Resync is tested not by one, but two independent companies - NSF Sport and BSCG. * The above table was compiled with information from our competitor’s sites and/or their Amazon page on January 24, 2018.